Home Career Guide Extra Shot How to Motivational Personal Trainer The most important things that You can help others to achieve Success? 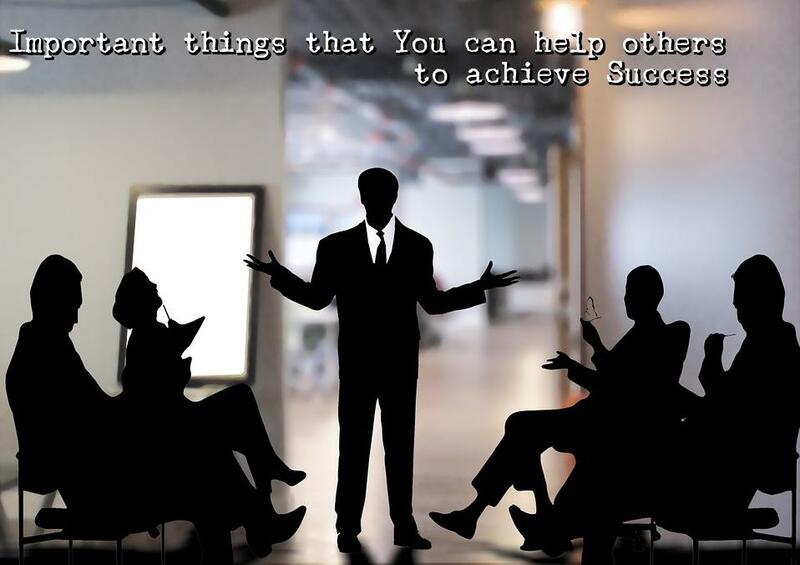 The most important things that You can help others to achieve Success? The most important thing that you can help others with is kindness, understanding and empathy. While every person in this world is in some kind of pain and agony, some small and some huge, what they really want is someone who can quietly listen to them. It is said that if you share your happiness, you get better and if you share your sorrow, you get better. Probably this is a nice thought. If the other person cannot find a solution to your problem, then it is of not much worry because he is lending his ears to you. A person who just listens, understands and empathises is eventually considered to be the best friend and saviour. An important part of living a happy and fulfilling life includes being part of an organised society where you can help and support people you care about. It’s easy to get so wrapped up in managing your own life that you forget about helping others. And while it is important to put yourself first sometimes, it is even more important to help others community or individual, whenever you can. Also, It is literally true that you can succeed best. The beauty of empowering others is that your own power is not diminished in the process. Rather you acquire a higher power, but that’s only if we talk in terms of power. If you empower people, your self-awareness and confidence will only grow. This can be achieved in a number of little ways that can range from simply escalation someone else mood to helping them realize new aspects of their personalities. We are all in this life together, and helping others achieve their goals can get our own on track. By true compliments, I mean compliments that come straight from your heart and nothing fake. If you think your friend looks especially nice today with that new hairstyle, tell her so. Just be open and direct in your interactions. If you notice someone has a talent or knowledge that they are not putting to use, let them know. Gently offer suggestions and advices of where they may go to learn more. If the child you are mentoring is continually singing, Dancing or humming, for example, get them signed / Danced up for a singing or dancing class. Whether it’s helping someone who fell to get back up, or picking up something that spilled in the supermarket, it shows you care, which is empowering.